Almost 30 years in the business of dressing women, Sonam’s subtle strength is a testament to good design, as he mixes the old with the new—-brocades with eri silk to create a palette that reverberates with spirituality and displays his commitment to slow fashion. His mother died of cancer when he was 12, leaving him to fend for himself from a very young age, but maybe that’s one of the reasons why Sonam Dubal’s inner strength and fortitude is unquestionable just like his brilliant aesthetics. A product of mixed parentage his Tibetan Sikkimese mom (Maharashtrian father) was a beauty and had a deep sense of style; Sonam admits that he learnt a lot from her and also imbibed her sense of colour. “She loved flowers, maintained a beautiful garden, I think that love for textiles and watching how she dressed, left an indelible impact on me,” he says. 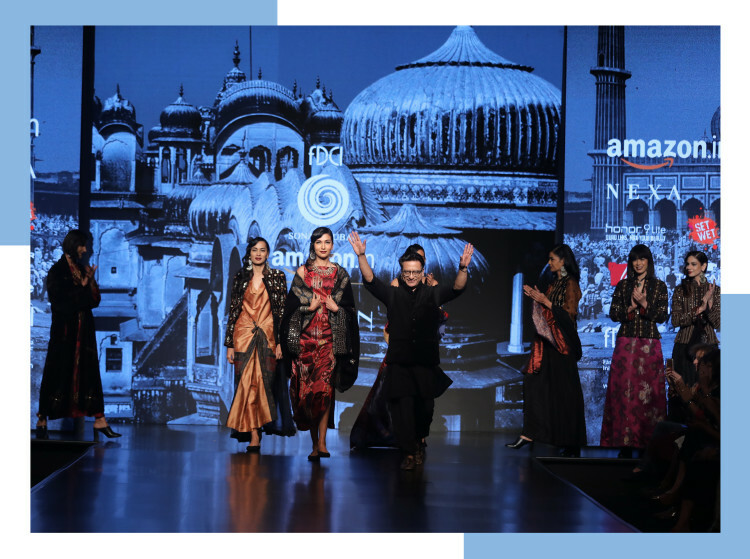 Showing at AIFW after a long hiatus, Sanskar his label, started much after he graduated from the first batch of NIFT (Delhi), in 1990. He took his time to launch his brand, only in 1999, as he believed that the institution offered great education, but it was extremely Westernised with teachers from Central Saint Martins and Nottingham Trent, so he needed time and patience to study textiles, absorb Indian crafts and their essence. He took off on a trip to Paris, unplanned and carefree and visited the most beautiful ateliers where he learnt the nuances of embroidery and grasped their tailoring prowess. “I think there has been a tremendous growth in fashion due to globalisation. Fashion was earlier very small, now it is totally democratised and we have so many design schools that have mushroomed, with interesting linkages to other parts of the world making everyone citizens of the world, rather than a specific country,” he confesses. Sonam came back and trained under the legendary Rohit Khosla, where he observed how the maverick was a superlative stylist and also understood advertising. 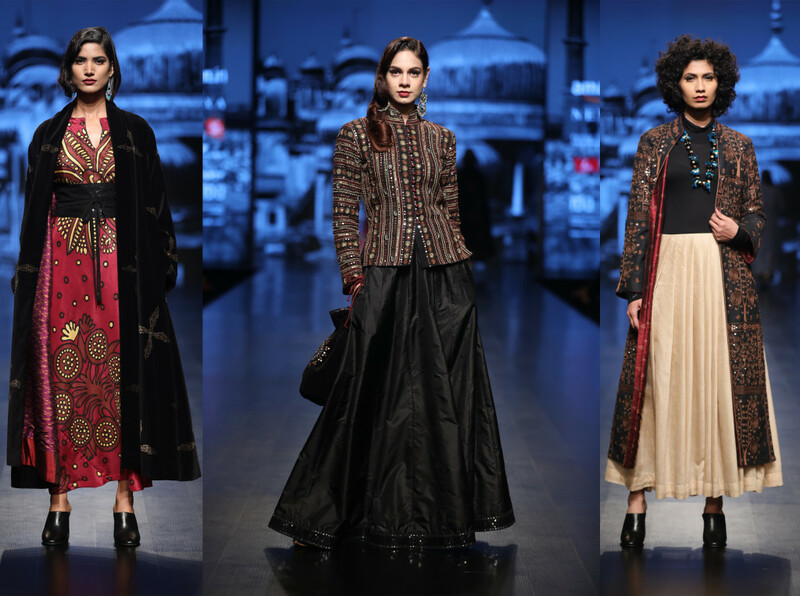 “He was the first designer in the 90s to be embedded in Indian culture, but have a Western mind, so he used Indian embroideries on a Western body. I still remember the ad he did for Khazana, where he shot with a young and beautiful Aparna, as he introduced India to tone-on-tone and mixed animal prints with tussar,” remembers Sonam. Sonam began his own research into textiles and understood their tactile-ness, their innate sense of colour, and he realised the world is a much bigger place than he could perceive. “Diversity really intrigued me, I wanted to tell a story, see cultural changes happening in the country and wanted craft to be interlinked with my work,” says Sonam. His North East roots, developed his love for Eri or Ahimsa silk, where he learnt the history of how travelling monks brought cocoons to India and he mixed that up with his admiration for recycled brocades, which somewhere told the story of reincarnation. “A lot of people believe that textiles are tough to cut and drape, but I did learn how to manipulate them. I have been talking about sustainability since 1999, so I find the whole debate about the resurgence of textiles a bit strange. 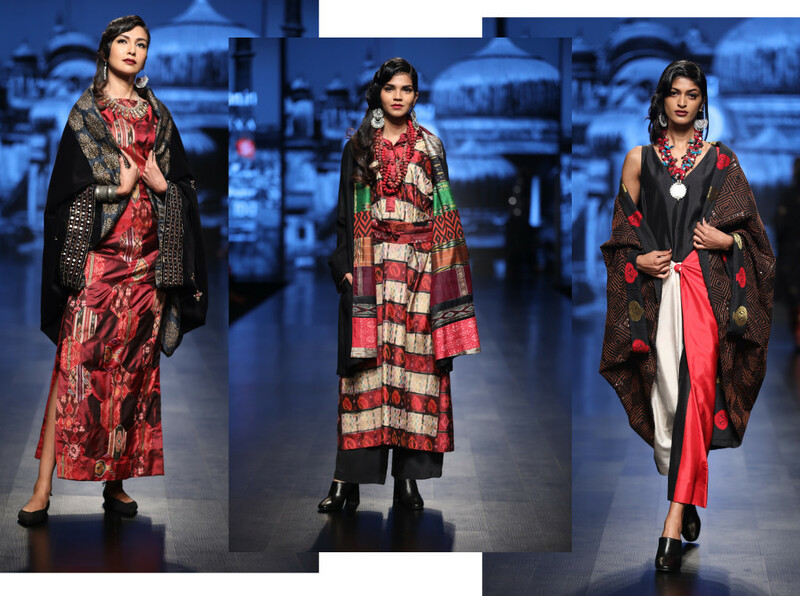 They have always been around, and I think in India we don’t know how to work as a team, as Rajesh Pratap Singh and Abraham and Thakore have been using only these for many years now,” he adds. This season, Sonam will showcase a line dipped in crafts, from brocades, his first love cotton that is sourced from a Kolkata-based crafts organisation Sasha to cotton from Pondicherry, raw silks to even vintage silks, as well as old Oriental silk brocades he discovered. Few know that Pondicherry has a special place in Sonam’s heart, he has a small house there he built and his relationship with the Mother Aurobindo is a bond that has only grown stronger over the years. It gave him the grounding and spiritual strength, even when he was a nomad. “I found solace there, it was a space where I felt centred, and as I grow older, the journey within is becoming more important,” he confesses. That’s why Sanskar represents a deep sensibility of values, organic growth and is also inspired by nature, all the things that are there in his store Maison Sanskar in Vancouver. Sonam is also an artist of sorts so he looks for things that are away from the hectic demands of the seasonal runway, a bit like Dries Van Noten following the theory of slow fashion, almost anti-fashion. “Every year you don’t need to create, you can choose to revisit your past reservoir like what Maithali Ahluwalia did (of Bungalow Eight), she discovered I have something meaningful to say and she highlighted that. I have not been one to throw myself into the centre of the whirlpool every year, so I waited when I had something to say and did a fashion week,” he says. The designer admits that he has always been an observer, a man who watches the world go by from his window with a detached engagement from the time he was a young boy in a boarding school losing his mom and feeling totally alone to picking himself up and turning around his life. “Design is not limited to one colour, form or textile, so I liberated myself from this small space and looked at the bigger picture and found unity in diversity,” he smiles. His wool, eri silk, hand painting, handwork, usage of different kinds of silks, in indigo, greys with a shot of orange exude a painterly palette. His focus is on jackets and coats with hints of embroidery. “It is a line for a woman who is not just a homemaker, but also a traveller and she knows who she is and who she wants to be. Eri silk has a property where it keeps you warm in winter and cool in summer, it can get stiff, so you have methods to dye it in an ecologically friendly way and soften the fabric,” he explains. Sonam believes that Indian fashion needs to focus less on selling and more on design and the government must help designers. “We need to find a way to work together, along with crafts organisations, which are not capitalist run, but to also help weavers and craftsmen to be able to create great fashion,” he says. Visit FDCI's profile on Pinterest. 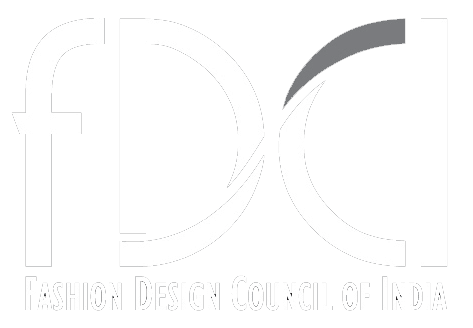 © Copyright 2014 Fashion Design Council of India. All rights reserved.